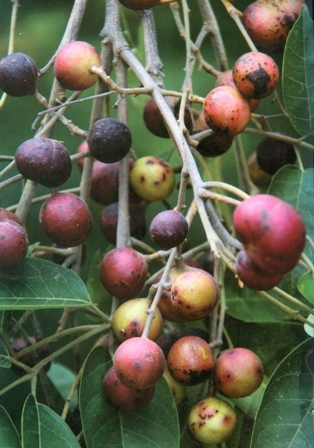 Gulgutia is a wild growing fruit of warmer regions. 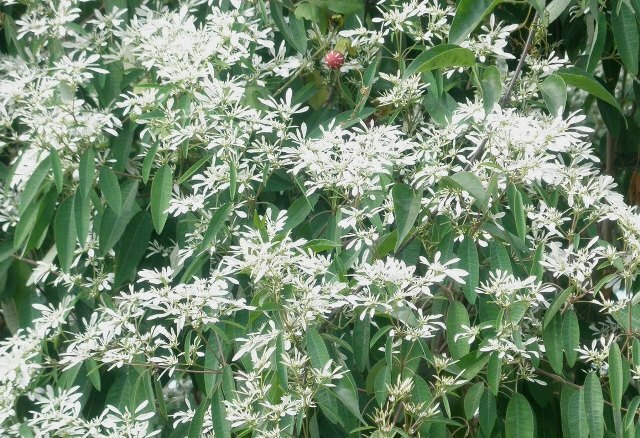 In India, it grows in Andhra Pradesh, Assam, Bihar, Karnataka, Madhya Pradesh, Orissa, Uttar Pradesh and West Bengal. Besides India, it also grows in Bangla Desh and Myanmar. Gulgutia trees are fairly common mixed deciduous and semi-evergreen forests, mostly along streams, in the ravinesand valleys under cool situations. 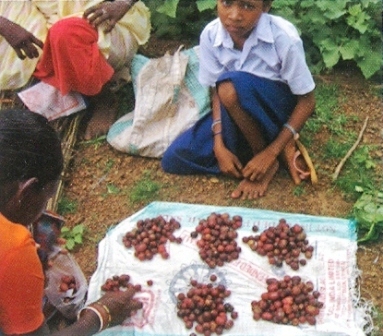 The fruits are also offered for sale in India at some places. Trees deciduous, branchlets densely yellow pubescent, gray pubescent when old. Leaflets 5-9; petiolules 5-13 mm; blades oblong or ovate-oblong, 7-10 × 2.5-4.5 cm, papery or rigidly papery, base rounded or broadly cuneate, margin serrulate or sometimes entire, apex acute or caudate-acuminate; lateral veins prominent on both surfaces, ± densely pubescent. Panicles axillary, 6-14 cm, densely pubescent; flowers light green; pedicel ca. 2 mm. Sepals less than 1 mm. Petals oblong-lanceolate, 1.5-2 mm. Drupe nearly ovoid to globose, ca. 1 cm in diam., persistent style oblique, glabrous. Seed a pyrene, 2 or 3. Ripe fruits are pleasantly acidic. These are eaten raw. The fruits are also made into chutney. Gulgutia is still not cultivated. 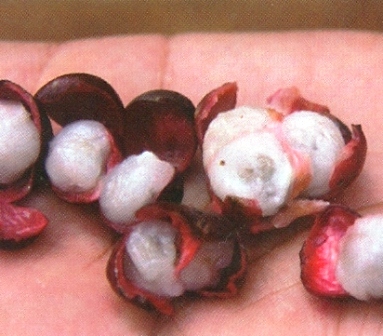 The fruits are collected only from wild growing trees. This tree is, however, not difficult to grow. New plants can be raided from seed, copiced shoots and cuttings.